Professor Seungbae Park of Division of General Studies at UNIST. 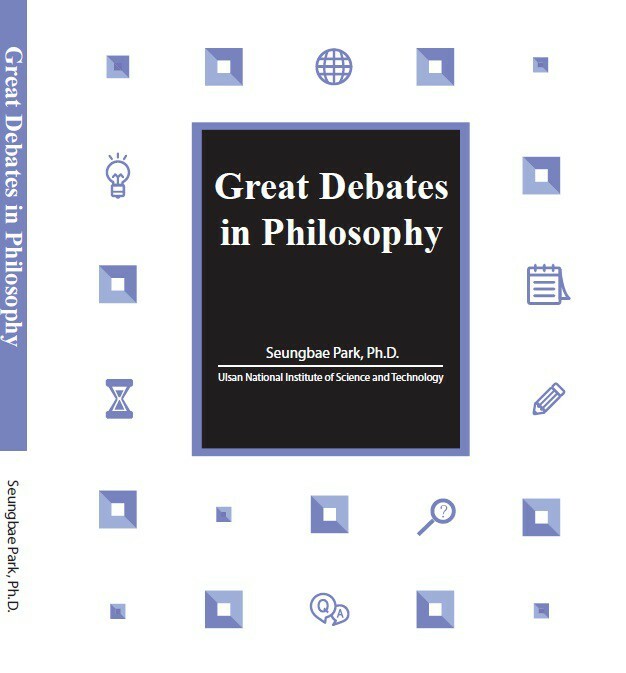 "Great Debates in Philosophy” by Professor Seungbae Park, professor of Division of General Studies. The book aims to help students develop critical thinking and creative problem solving skills. 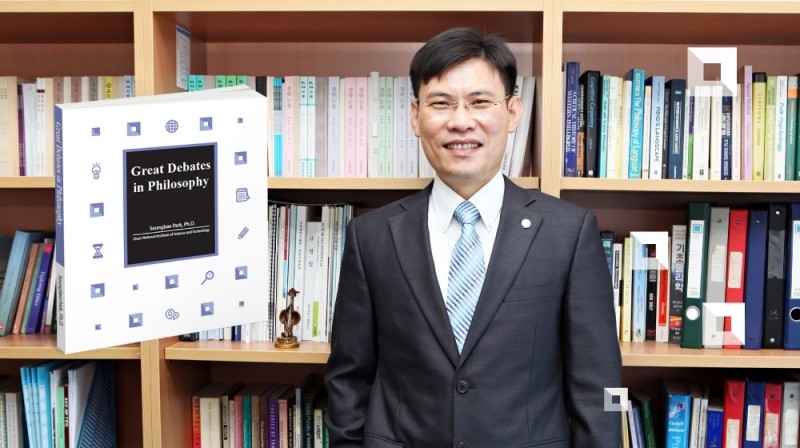 Seungbae Park, professor of Division of General Studies at UNIST has recently published his new work, “Great Debates in Philosophy”, which presents important current issues in philosophy in the form of a debate. This book, published by Korean Studies Information Co., Ltd., provides the public an opportunity to gain new insights into issues in general philosophy of science. The book consists of seven chapters that cover the following topics: philosophy of religion, ethics, philosophy of mind, epistemology, evolution, as well as personal identity. Each chapter in this book is developed from a series of lectures, presented over the last 15 years at Arizona university, University of Maryland, as well as UNIST. After a general introduction to philosophy and logic and an explanation of argument analysis, the book explores contemporary issues in philosophy, stimulating debate and critical thinking among readers of all levels. His book not only introduces students to great philosophical thinkers, it also teaches them the essential skills of rigorous critical thinking. Professor Seungbae Park joined the faculty of UNIST in 2009, as an Associate Professor with research and teaching focus in the philosophical and ethical aspects of science and technology. Prior to joining UNIST, Professor Park has also held several faculty positions at the University of Arizona, the University of Maryland-College Park, and Pohang University of Science and Technology. Professor Park received his Ph.D in Philosophy of Science from the University of Arizona (2001), under the guidance of Dr. Richard A. Healey. He has published more than 20 publications that are regarded as the highly cited papers and some of them belong to the top 5% in their field, according to SCimago Journal & Country Ranking (SJR).